vielleicht ob er die Strohhutbande verfolgen soll? Sieht so aus, dass Law und Strohut diesmal sicher sind vor Fujitora. Er gambelt mal wieder, nice dieser Fuji, will wohl nicht zurück zum Marine HQ in nächster Zeit, und legt das Schicksal der beiden auf eine Würfelzahl. 3+ bedeutet wohl sie werden eingesperrt und alles darunter das er sie laufen lässt (ähnlich wie bei Warhammer). Der Spoiler zeigt natürlich wieder den Gambler Fujitora. Kurze Frage an MonkeyDDragon und ShereVolution: Was habt ihr beiden mit der Zahl 3? Weil man die Zahl an der Seite des Würfels sehen kann oder wie? Ich kann auf den Bildern auch nicht erkennen, dass irgendwas von der Zahl "3" erwähnt wurde also bin ich mir doch ziemlich sicher, dass Oda diese Zahl an der Seite einfach nur willkürlich gezeichnet hat. Sieht ganz interessant aus. Ich glaube aber nicht das Fuji Ruffy und Law gefangen nimmt, weil: 1. die beiden haben Dressrosa befreit und einen Samurai besiegt, der Fuji sowieso ein Dorn im Auge war. 2. Er hat gesehen wie Ruffy und Law ticken. Vielleicht bekommen Ruffy&Co schon im diesem Kapitel ihr neues Kopfgeld. Ja die Zahl drei war nur eine Andeutung wegen dem Spiel Warhammer. Vergiss die einfach wieder. Glaube das Fuji mit Maynard spielt und die Zahl 1 bedeutet das Law und Ruffy laufen gelassen werden. Fujitotra did a dice gambling with Maynard. 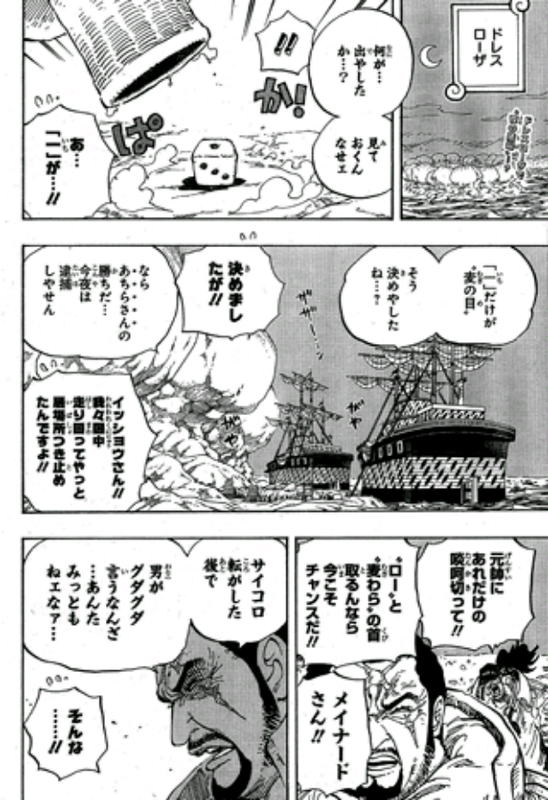 If the dice indicates “1”, strawhats win. Depending on the result of gambling, Fujitora decided not to arrest Luffy and Law tonight. Maynard is embarassed with it and still tries to persuade Fujitora. It seems marine managed to find the place where Luffy is hiding. 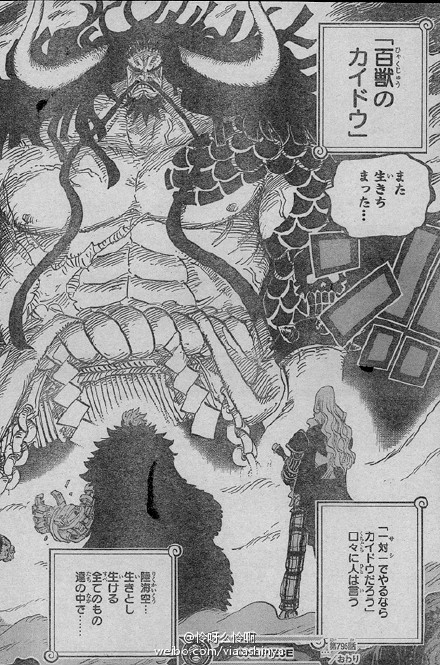 Fujitora says that Maynard is not manly since he continues complaining after the gamble ended. Interessant mit dem Würfeln, er erkennt also durch sein Haki, was gewürfelt wurde, weil er ja blind ist? Der würde ja jeden Hüttchenspieler alt aussehen lassen. Nein Maynard sagt es ihm. wir haben sehr lange auf diesen Moment gewartet und hier kommt mit abstand der Badass Type in One Piece den ich je gesehen habe. Fujitora rolls the dice and gets a 1. 1 is Straw Hat's number. They've won the gamble. Fujitora says he'll put off going after them for a day, and Maynard objects. This is the best chance to get Straw Hat and Law's heads! But Fujitora replies the gamble is done. To complain about the result is not a manly thing to do. Meanwhile the soldiers in the palace regret not being able to meet Lucy. He was our savior. Other gladiators and pirates are resting in the palace. Rebecca looks for Lucy and her dad, but can't find them. Riku tells her they'll show up tomorrow, and reminds her that if Riku returns to the throne, you're a princess. Sanji takes hostage of Cesar's heart and demands him cooperate saving "them"
Chopper urges him too. Cesar is reluctant, as they just recently managed to flee from Big Mom's ships. On the island Nami, Brook, and Momo are running away from someone. They were distracted by a strange looking girl, and were separated from Sanji and Chopper. A horned man riding a large reptile catches up to them, demanding where they hid "that woman", and how they got on this island. Momo and Brook are swept away unable to cope with water (as they are devil fruit users) and Nami saves them. The horned man changes into a Sheep Man and attacks them with Sheep Horn, but is countered by Brook's Soul Ballad. Sanji comes to their rescue and KO's the sheepman with Diable Mutton Shot. A beautiful female warrior calls out the sheepman's name, lord Sheeps Head. She orders the others to retreat, and to report they "found no samurai". 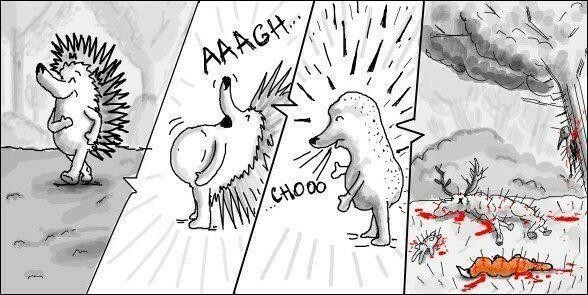 Massive explosion rocks the island. Kid, Apoo and others rush to the site. A siege!? They find a massive hold in the ground in shape of a man. Someone came crashing down from the skies! Hawkins guess he came from a Sky Island. The impact caused one of Kid's ship to turn over, much to his irritation. High above the location, on a sky island, Urouge warns the mysterious man who walks to the edge of the island. He seems eager to suicide, and Urouge decides against stopping the man, and he seemed determined. The man was looking for a place to die. He has suffered defeat seven times as a pirate, and captured by Marines or Emperors 18 times. Has suffered torture a 1000 times in his life time. He leaps off the island, and lands on Kid's island. The man was sentenced to death 40 times. When he was hung, the chain broke. When he was sent to the guillotine, the blade broke. When he was impaled with spears, the spears broke. He ended up sinking 9 gigantic prison ships. No one could ever kill him. Not even himself. His hobby is suicide. His name is... Kaidou of hundred beasts! Kaidou gets up as Kid and others gazes on. He is jealous of Whitebeard who has found a place do die. Kaidou... anyone you ask will tell you, if you limit to one on one, this man is the strongest creature in the world. Kaidou is sick and tired of this boring world. He says it's come to this... damn it. Prepare for the final battle for "Joker". I don't care if this boring world is destroyed in the process.. let the world see its final war! !